Best Pan For Cooking Turkey | We review 3 of the best! 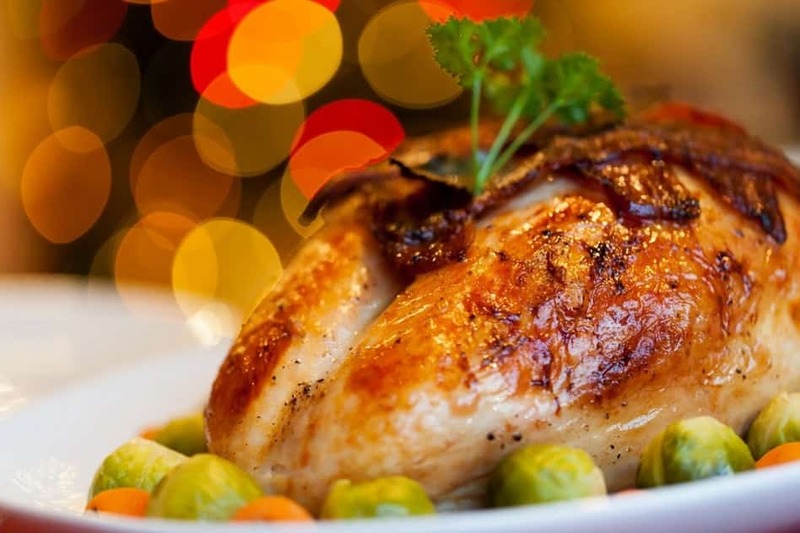 Cooking turkey can be an incredibly daunting task whether you are a beginner or even a well-seasoned cook. It is just as easy to overcook a turkey as it is to undercook one. These are the last things you want to be dealing with on Thanksgiving! The roasting pan that is used to cook the turkey is almost as important as the quality of the turkey and the method that you use to cook it. Roasting pans aren’t created equal but there are a few features you can look for that will help make the decision easier. Roasters that are about 16 inches and can accommodate at least a 20-pound turkey are a perfect size. 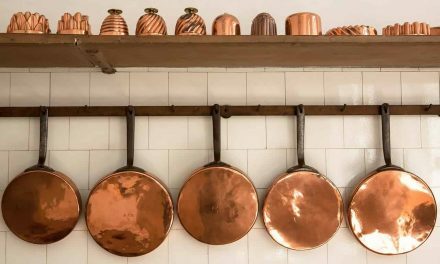 Additionally, you want to ensure that your roasting pan is made with materials that are compatible with your stove and oven so that you can move the pan back and forth. This helps to get a proper sear a much easier task as well as deglazing and making a delicious gravy. Roasting pans can be as expensive or as affordable as you need them to be and while saving money is always appealing, a quality roasting pan is a great investment that can be used on various cooking projects. However, even with all of this information, there are still so many different roasting pans available and the decision isn’t easy. Fortunately, we have found three of the best pans for cooking a turkey that is available today. Each pan will have different features such as specific cooking materials and cooktop compatibilities to ensure there is the perfect option for you. The first option is the Calphalon contemporary roasting pan. 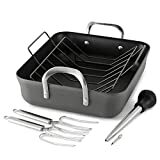 It is made out of multiple layers of hard anodized heavy-duty aluminum that provides an unbeatable nonstick coating as well as unmatched durability. Hard anodized is a fantastic material for cooking turkey because it allows for quick and easy release as well as even heat distribution. Turkey, like most poultry, is infamous for sticking unless you use enough oil with an appropriate cooking vessel. 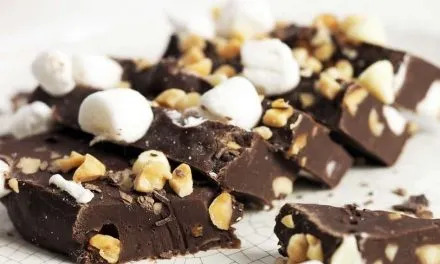 It is also one of the proteins you do not want to risk undercooking or overcooking. This makes hard anodized aluminum the perfect material to ensure everything is cooked evenly. The pan can withstand temperatures of up to 450 degrees, making it oven and dishwasher safe. However, you don’t have to use the pan in the oven as it will work perfectly fine over a stove top. The pan is 16 inches and can hold up to a 25-pound turkey. The handles are riveted for extra strength as well as staying cool during the cooking process. 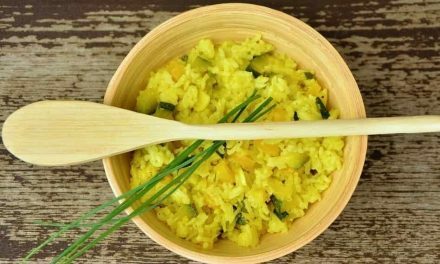 As long as the pan is appropriately preheated on the correct setting and is used with the right oils, it can be a fanatic addition to your kitchen. Holds up to a 25-pound turkey. Triple-riveted handles make lifting and turning easy. Goes from oven to stove, ideal for making gravy. Nonstick V-Rack lets heat circulate, for crisp browning. The second pan for cooking a turkey on our list is another amazing product made by Calphalon. 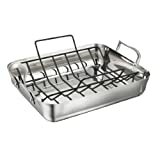 This Calphalon roasting pan is made out of two layers of stainless steel that sandwich a heavy duty aluminum core. Stainless steel means that you can achieve higher heats than other cooking materials. Stainless steel is one of the most durable cooking materials so you can rest easy knowing this pan can take a beating and will still be around for the long haul. Stainless steel doesn’t conduct heat all that well which is where the aluminum core comes into play. Aluminum is one of the best heat distributors and conductors available as it ensures that there are no hot or cold spots on your turkey. Some even say that it is easier to control heat on stainless steel compared to other materials. Additionally, you don’t need any specific tools with a stainless steel roasting pan. You can use any material you’d like as stainless steel isn’t porous and you don’t need to worry about scratching off any important or toxic coatings. This roasting pan comes in at 16 inches and can hold a turkey that weighs up to 25 pounds. The pan can go from oven to stove with ease so that you can achieve different levels of browning, as well as make sides such as gravy. The stainless steel handles are brushed and riveted to ensure stability. While this does help the handles stay cooler, you should still take the appropriate precautions and wear adequate oven mitts when removing the pan from the oven. 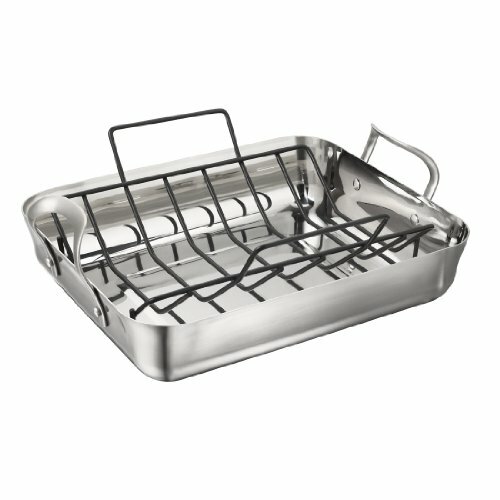 Due to its ability to withstand high temperatures, this roasting pan is dishwasher and oven safe. Roasting pan aluminum core provides superior conductivity and even heating for excellent browning and control of the cooking process. Non-porous stainless steel cooking surface is safe for use with all utensils. Roasting rack holds up to a 25-pound turkey. Triple-riveted handles make lifting and turning easy. Goes from oven to stove, ideal for making gravy. Nonstick V-Rack lets heat circulate, for crisp browning. The brushed stainless steel handles are make it easy to lift even when full. All cookware is dishwasher-safe and carries Calphalon's full lifetime warranty. 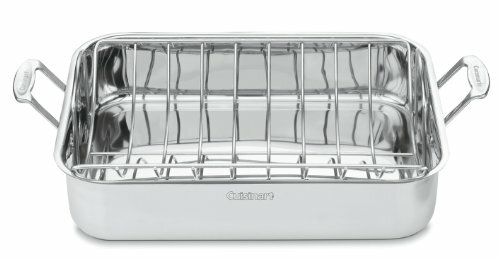 The final option on our list of best pans for cooking a turkey is the Cuisinart Chefs Classic Stainless roaster. This pan made the cut for quite a few reasons. For starters, it is made by an incredibly reputable brand that has been releasing reliable cookware for years. Additionally, it is made with fantastic materials and features that can make all the difference when cooking a large turkey. The roasting pan is made out of a professional grade triple-ply stainless steel and comes with a solid stainless steel rack. The pan also contains a Cuisinart specific feature called heat surround technology which refers to the aluminum core that allows for better conductivity and even heat distribution. Similarly to the others, the roasting pan is 16 inches and can hold up to a 25-pound turkey without any issues. One of the most appealing aspects of this specific pan is it is guaranteed to be induction ready. This particular roasting pan also comes in at the most affordable price point available. The low price tag on this pan can be quite misleading as it might make people think that the quality is poor. However, this pan has proven to be quite reliable as well as functional, making it a really great option for the price. Thanksgiving might be one of the most stressful and exciting events of the year. Fortunately, if all your stress on this day relates to cooking a 25-pound bird properly, we might just be able to help. Cooking Turkey is complicated enough and finding the appropriate pan to cook it can often make it more complicating when it doesn’t have to be. We hope that this article shed some light on what makes a good roasting pan and a few of the top choices that are available. We hope that the next time you take on Thanksgiving dinner, you are excited about it. 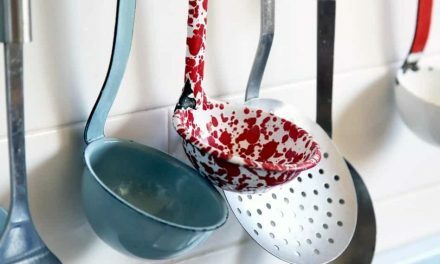 Can you use metal utensils on ceramic cookware?